The exhibition of recent paintings by Callum Innes at Whitworth Art Gallery is astounding, quite literally breathtaking. 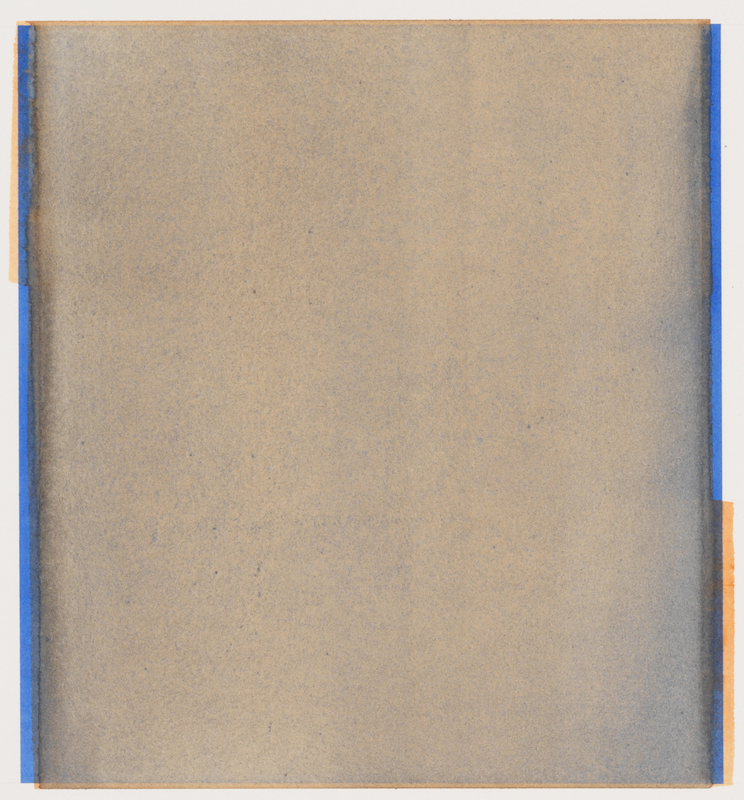 It includes works from his series of Exposed Paintings, where using turpentine, he removes layers of black oil paint to reveal underlying colours, leaving the evidence of his process on the canvas and around the canvas edges. I think there are some, but the removing of paint is more evident and the multiple layers tend to prevent the perception of individual mark-making. 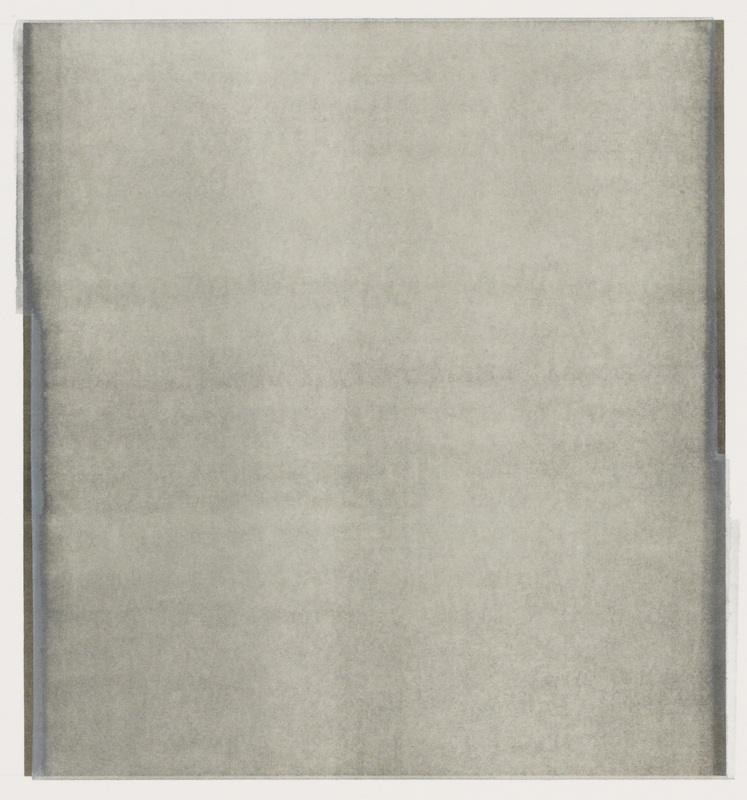 There are paintings here also from the Monologue series, in which washes resembling a waterfall or a mist cover the entire canvas. Innes’s paintings are rarely ever strictly ‘monochromes’, but I do think that they speak from and to that tradition, and I wonder if the title of this series hints at this. All the paintings here are of a fair size, big but not massive. There are paintings that do not appear to belong to a named series, Untitled no 31 for example. 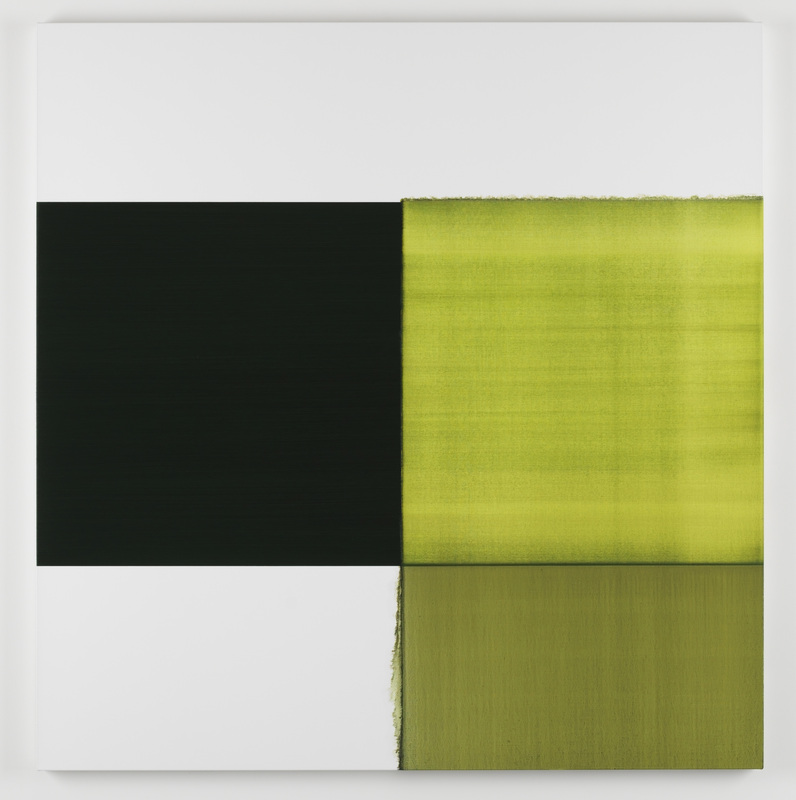 On second thoughts, they do form a series: the Untitled series in which the canvas is divided vertically into two sections, sometimes into roughly equal halves, but not always. Sitting down, I look at Untitled no 31 for a long time and it is only the nagging awareness of an upcoming appointment that eventually motivates me to get going. I want to say that there’s something timeless about it except that it also seems to mark the passing of time both of the artist in the making of it and of the viewer who wishes to stay on and gaze. It may be more accurate to say that it induces a time distortion. I get absorbed in the process of seeing, at first accompanied with internal dialogue but less and less so. Time seems to have stopped. It’s not altogether a reverie, nor is it all emotion; whilst there is something emotional about it, there is also “something for the mind to do”. I become fascinated by the line that separates the two ‘halves’ or that joins them, there does seem to be an actual line which can be seen very close up, absent from middle distance but becoming magnified optically after prolonged viewing from where I am seated a few feet away. The surface also takes on a slightly undulating quality. I have the impression that these optical effects are bi-products of the painting process rather than deliberately sought after or designed-in by the artist. The exhibition also has a selection of works on paper and 20 new watercolours made especially for the Whitworth.The watercolours are displayed laid flat on a long table in a manner that recalls the process of making them. 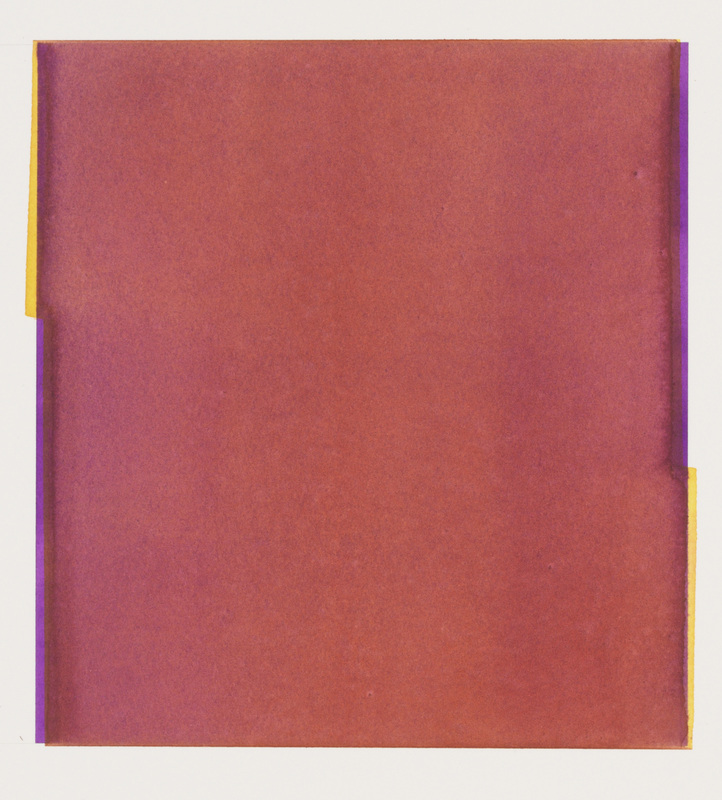 Innes lays the sheets of paper out in sequence and works on them in order, beginning each one by masking off a square in the centre of the paper, blocking it out with a wash of watercolour and leaving it to partially dry before removing the masking and adding further layers allowing them to be slightly larger or smaller than the initial square, so residues of the unmixed colours remain at the edges. 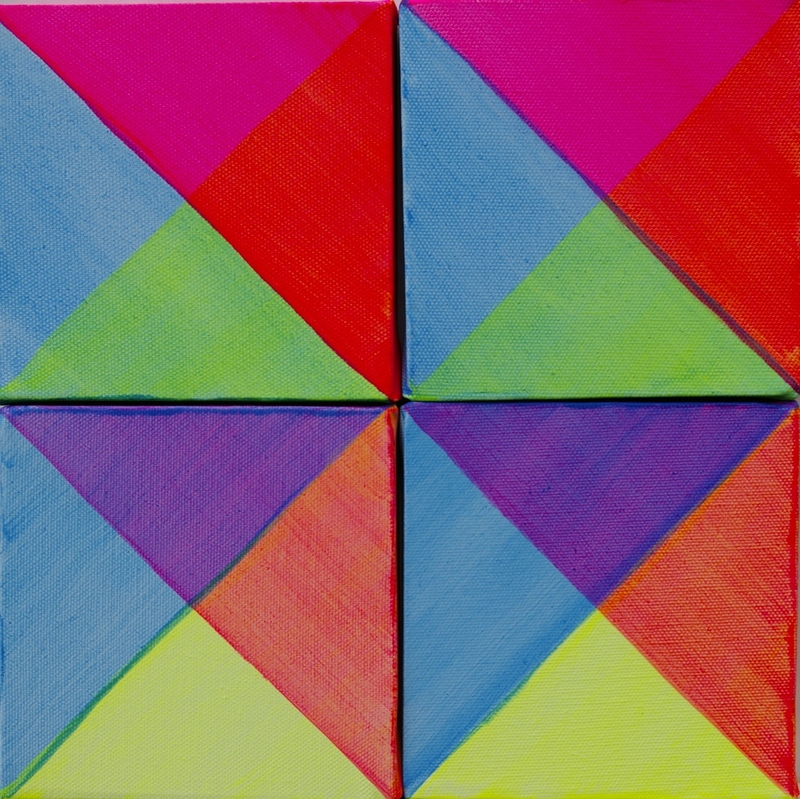 Each work combines two colours transforming them in the process into a new, indeterminable hue. I am reminded of the dialectical triad: thesis, antithesis, synthesis, which in turn reminds me that no ‘formalist’ painting can ever be only formal, it is always also trans-formal. There is something right about seeing them laid horizontally, partly because it maintains the sequence, encouraging me to see each individual work as a part of a larger whole, and partly because I think the colours are slightly intensified when seen in this orientation. These works, whether the large paintings or the watercolours, are only deceptively, simple. All the actions that are documented in the production process are in themselves very simple, and sometimes they result in paintings that at first glance also seem simple. Yet linger only a short while and their complexity becomes more apparent. And it’s paradoxical in that the process of making is never hidden, it is in one sense clearly displayed. However, the moment I try to piece it together it eludes me it all starts to seem too difficult to follow, much of the process now being obscured by the very action of layering and removal of paint. If I might switch sensory systems for a moment I could say that viewing them is akin to the experience of listening to music by Steve Reich, on the one hand simple ( I resist the ‘minimalist’ tag) and on the other, highly complex. 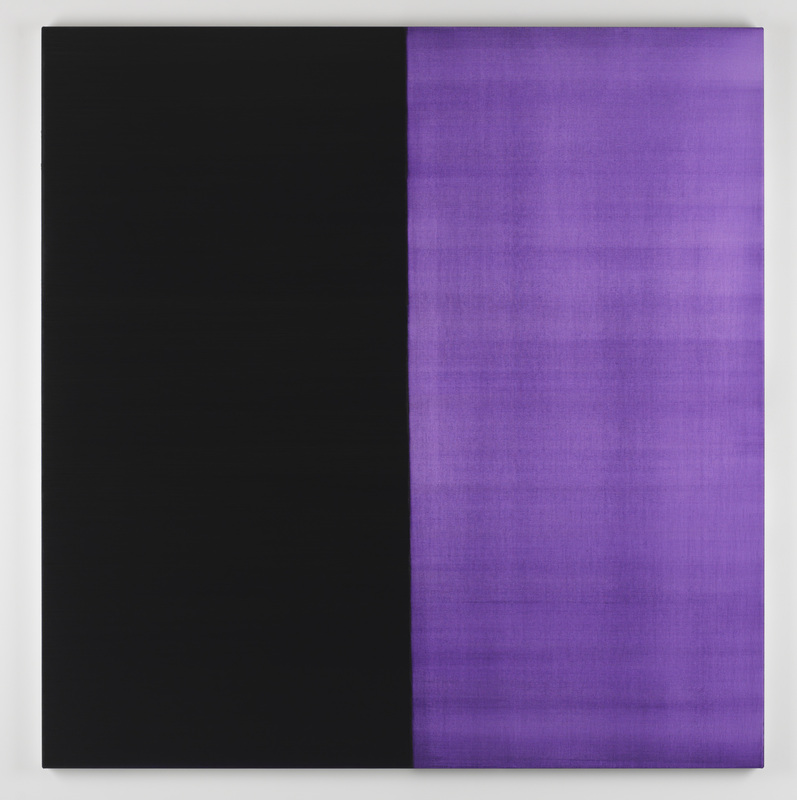 The Callum Innes exhibition, part of the Whitworth Spring Season, opened on 2 March and continues to 16 June 2013.